We see enough of the rioting to place the film in at least some context, but the bulk of the action unfolds in the confines of the Algiers Motel, the scene of extreme brutality for which nobody was ever held criminally responsible, with the performances of the film’s spectacular ensemble cast ramping up the tension as we helplessly watch the horror unfold. John Boyega, fresh from the new Star Wars, features prominently on the film poster — but his role is actually relatively minor, and his idealised character deviates from the testimony of those young men who were harassed and beaten over the course of the night. 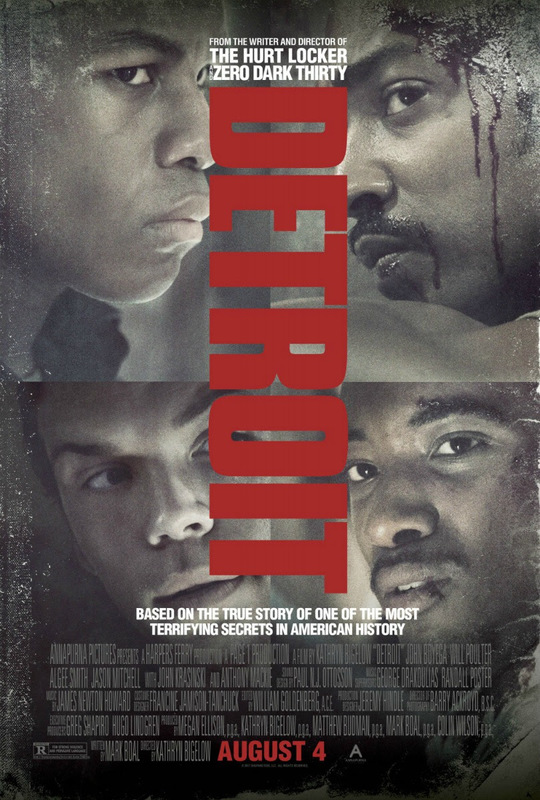 More impressive are Algee Smith and Jacob Latimore as Larry Reed and Fred Temple, black musicians who are the moral anchor of the story, and Will Poulter as a believably — not cartoonishly — racist cop. The last act swaps violence for courtroom drama, packing months of court hearings into minutes of cinema. It strips out the nuance, but delivers an effective gut-punch. Justice is sought and denied — a parting taunt to an audience that will be left shaking with anger at both the historic injustice and its devastating familiarity half a century later.